Heya. To anyone who has heard of or is interested in 3D printing, or the works of Alessandro Baldasseroni, this might interest you. 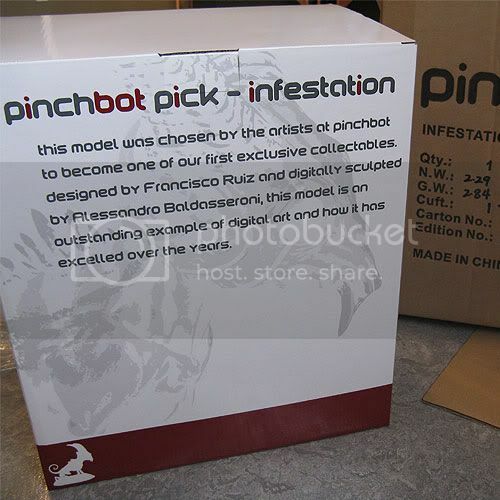 A brand new company called Pinchbot has released their first statue, which is a limited-run print of Alessandro's "Infestation". It is fully assembled, fully painted, and each is numbered. This model kind of represents a new niche is statue collecting. 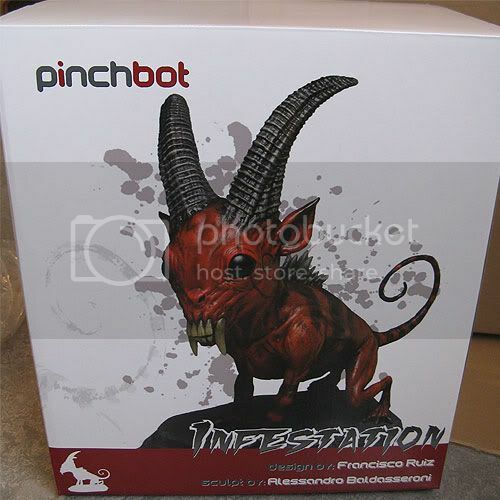 "Infestation" is perfect for fans of CG modelers who work in video games and movies. Instead of supporting an established comic book or a movie license, this statue captures the result of what happens when a famous CG modeler works from a great piece of concept art. 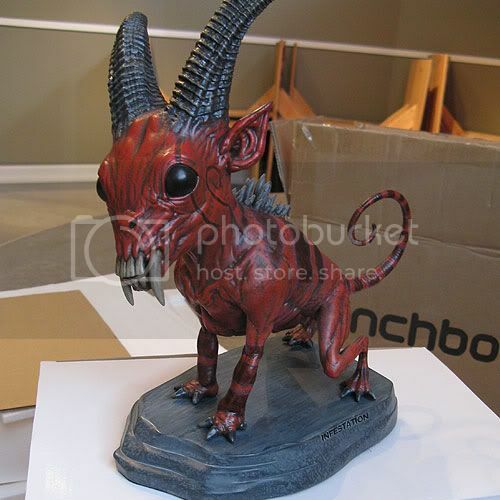 I do CG at my work station, and this is perhaps the worlds best statue to have on my desk. It is pretty damn inspiring! I recently ordered mine and just got it in the mail, and wanted to share with you the unboxing. From a CG artists perspective, it is amazing to have discovered this model online and then one day been able to have one in front of me! 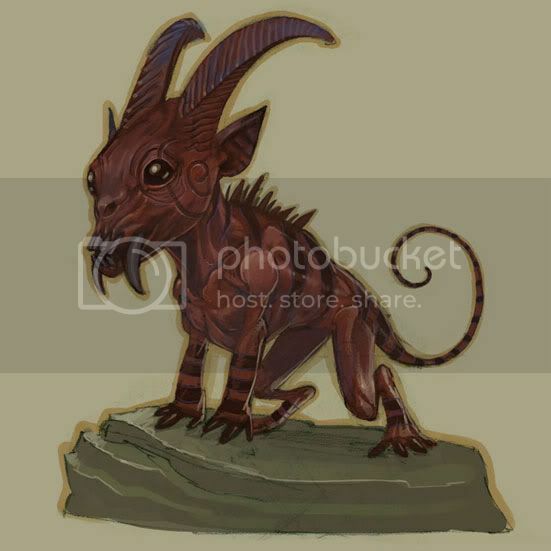 The "Infestation" concept was originally illustrated by Francisco Ruiz Velasco, and you can check out his blog at http://fruiz-fruiz.blogspot.com/ . 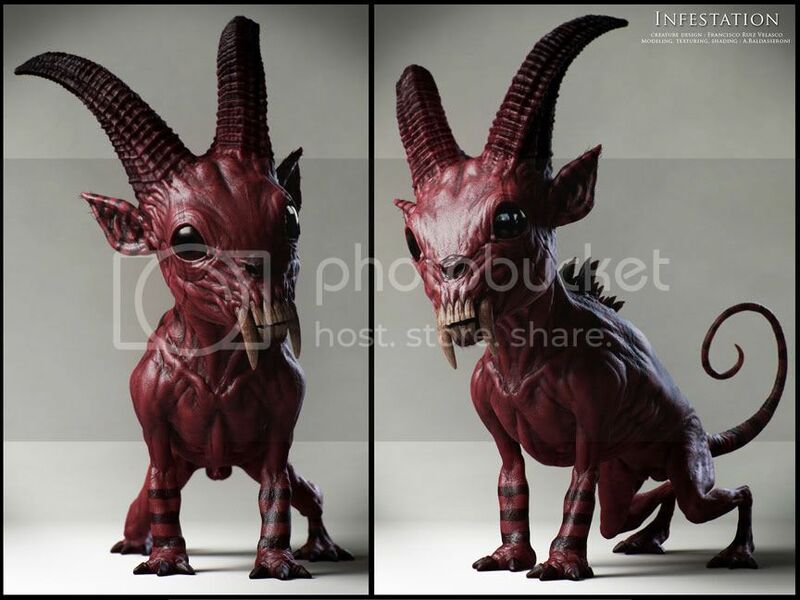 The final sculpt was done by the skilled Alessandro Baldasseroni, and you can see his sculpts at http://www.eklettica.com/ . Here are some WIP pics that I found online. 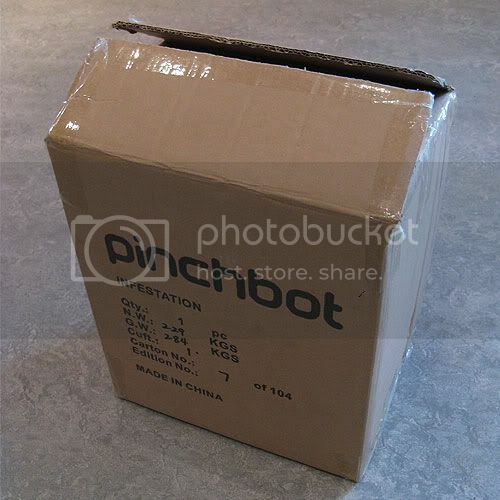 When I saw the model on Pinchbot.com I was flabbergasted. It was like the model came to life. To me, this model is right in between my statue collecting and interest in CG modeling, making it a must-have. I picked it up at the post office, brought it back to work, and this is what I found! The packaging is slick and secure. The box itself is a keeper. The printed and numbered base, complete with non-slip pads, is a real plus. I own a lot of statues, and this one is in a league of its own. Check it out. I am really impressed with the packaging, and final quality of the model. The hand painting is beautiful. The marble finish to the base is the best I have ever seen. Only 99 other people in the world will have one of these, which adds to its beauty. I hope that this CG model/statue crossover becomes a scene. Instead of comic book fans recognizing my statue it is now the CG modelers, and that is pretty cool. 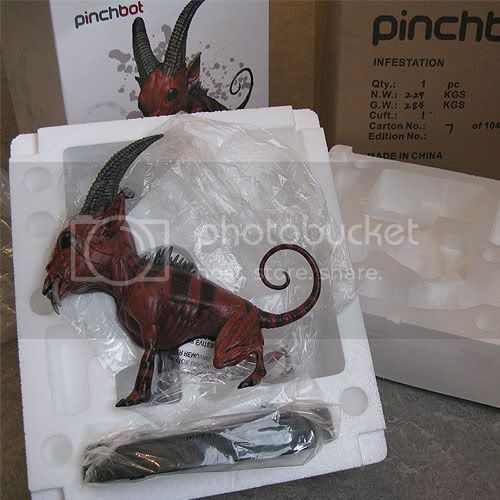 Pinchbot has had a great start with this model, and I am looking forward to what they make next. That is incredibly awesome, thanks! just bought one. The devildog is nice to have guard your workstation... and somehow has become cute to the girls?! My ferocious lil guy isn't cute! It reminds me of my dog. She's a chihuahua. Does anyone know of any notable sites that produce cool models like this? I'd love to have a few figures/statues that are just made to look cool and aren't just representative of some franchise or anime. i'd be interested in knowing this as well. Even a decent blog that updates with cool stuff would be nice. I would go to sideshowtoys.com but i can't stand navigating their crappy website design. Hm, looks like they're trying to do a bit of the Patch Together sourcing designers from the community thing from the quote on the front page. But perhaps a bit more selective than just letting anybody throw designs up on the site? Statue is nice. Resin, I assume? 3D printing is incredibly exciting. The prices are dropping fast but there still isn't that break out product that brings it to the masses. Not for high quality models like this anyway. I think this little guy is super cute but I don't like the paint job. it's very simple and really I guess had to be to make it worthwhile selling. Someone had to paint this 100 times.